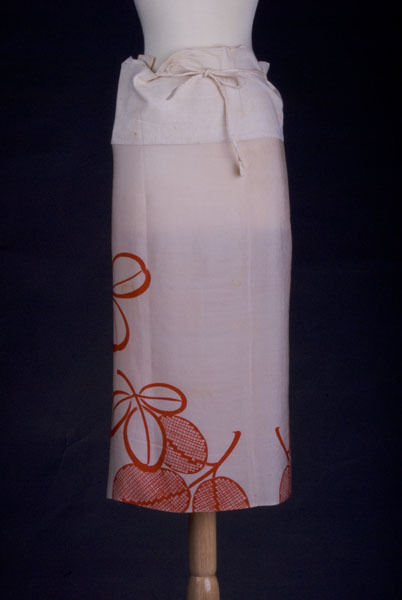 1 underskirt : silk, muslin ; 32 x 47 in., ties 19.5 x 0.75 in. 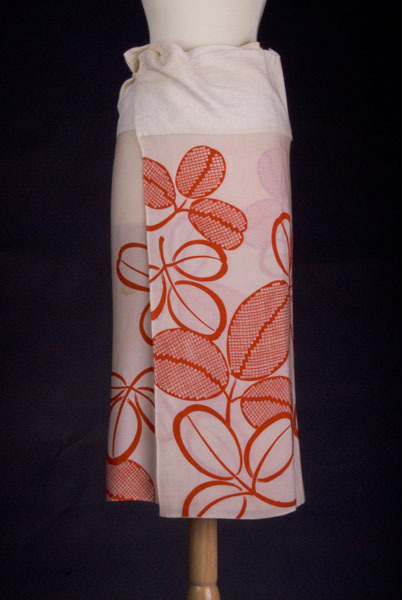 Peach silk koshimaki (wrap-around underskirt) with red leaf design in shibori or outline pattern. Natural muslin waistband (6.5 in.). Ties are attached to each end. 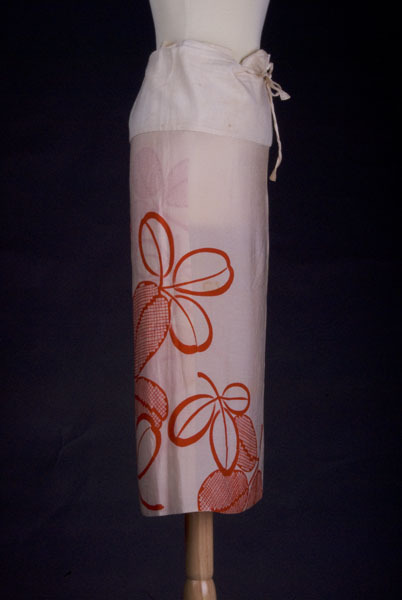 Koshimaki is a wrap-around skirt worn under kimono.